In an interesting announcement, Yahoo! Japan announced that they will use Google search technology to power their search engine. Yahoo! Japan is not tied to the forthcoming Bing-Yahoo! 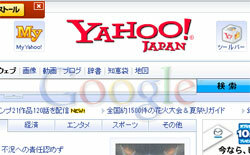 search merger as the Japanese site is only a strategic partner with Yahoo! Inc, who only own 35% of the portal, versus the 40% of majority owner Softbank. I find this an interesting choice for a couple of reasons. First, it gives Japanese web users access to Google's large search market share compared to it's current partner, the soon-to-be-deceased Yahoo! Search. Google Japan owned 0.15% of the worldwide search market versus 0.07% for Yahoo! Web Sites Japan based on 2007 numbers. Domestic numbers are much different. In 2008, Yahoo owned 51% of the search engine market in Japan, versus 39% for Google. By using Google's technology with the Yahoo brand, Yahoo! Japan appears to be taking over the country's entire search engine market. Now, I am not going to tell you that the 2007 and 2008 numbers have not changed, but the shares the two search engine giants possessed shows they were not really challenged by any other search engine. By combining in a way that allows the two to work together in this unique way, search engine market share in Japan will no longer be an apples-to-apples comparison with other nations. But what happens when/if branding changes in any way? 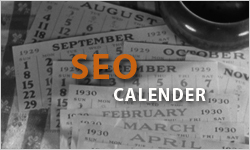 This is an interesting story for search marketers to follow over the coming years. Yahoo and Microsoft alike hoped to keep Yahoo Japan within their reach, even using Bing; clearly though, Google decided to get very competitive in a market where it has been the No. 2 player since it debuted its Japanese-language service in 2000. Well, all I can say is Google is a healthy competitor, and pretty hard to beat. Yes right Matt, its really interesting. Yahoo! is paving way to Google to take control of the Japanese search and search advertising markets. Really a disturbing affair for people at Redmond. Wondering how Microsoft tackles the situation. It’s a great contradiction and set back for the Yahoo! inc to let their search engines use the Big G in their own Yahoo! Japan sub domain. I think this can be considered as one of the biggest upset for the Yahoo Corporation to pass away its area of Core Competence to Google. This is like submitting the weapon and surrendering themselves’s to their enemy(Google) for Yahoo!. Virtually this gives out an impression that Google is the Best than themselves. Sure Google is going to gain popularity in Japan to from this act whereby harming Yahoo themselves!! Hmm … Yahoo has to formulate strategies at least from hereon so that this never happens in any other country or sub domain again.